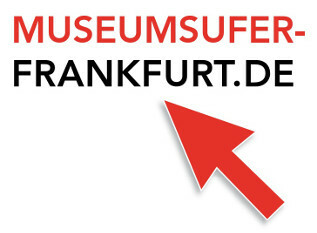 At its meeting on January 27, 2011, the City Council passed by large majority the proposed financing budget and construction plan for the new Historisches Museum (Historical Museum). Following the resolutions in 2007 and 2008, this finally cleared the way for the new museum building designed by architecture studio Lederer, Ragnarsdottir und Oei. Funds to the order of €45.95 million were made available for the construction work. With the completely redesigned Historisches Museum, which in addition to the new building also features the renovated old building with sections from five different centuries, the museum and its collections are a real center of attention in the new Frankfurt Old Town. Parallel to the start of construction work on the new building, renovation work on the old building was completed in October 2011. This building reopened to the public in May 2012 with the new Sammler- und Stifter-Museum (Collectors and Donors Museum). In 2017 the new building was completed, the relocation of the kinder museum/Junges Museum back to the museum is scheduled for the beginning of 2018, and the inauguration of the entire complex following outfitting of the new building took place in October 2017. The winning design for the new construction of Frankfurt’s Historical Museum is the advocate of a key hallmark: continuity. This is how the architect Jórunn Ragnarsdóttir describes her own work, for which she – jointly with her colleagues Arno Lederer and Marc Oei – was awarded the First Prize in the Architectural Competition for the Redesign of the Historical Museum on Römerberg initiated by the City of Frankfurt. Start of reconstruction was 2010. For the design the Stuttgart Architects Office Lederer Ragnarsdóttir Oei followed its fundamental principle: allowing the building to embrace and sustain the language of its environment. Prior to developing their concept the architects undertook an intensive analysis of the structure of Frankfurt’s old town that was destroyed during the War. Characterizing elements of the historical city area are now again be given stronger emphasis, continuity is being carried over into the present: the new design accents the north-south axis in the cityscape and takes up the axes lying west and east of the new construction, the Saalgasse is restored to its original form. The plans of Lederer Ragnarsdóttir and Oei incorporate the major squares of Frankfurt old town, Paulsplatz, Römerplatz and Domplatz, in the concept, as well as the partly now overbuilt and partly still visible narrow alleyways of the historical city centre. This architectural design gives rise to a new spatial feeling: interim spaces that were previously hidden are now loosen up and reinterpret this area of Frankfurt city. Central element of the museum ensembles is a newly created open area accessible by a flight of steps. Thanks to this decision by the architects, the only preserved half-timbered building in the old town, Haus Wertheim am Fahrtor, is given a special upgrading. The new museum design makes full use of the Römerberg’s topographical setting. On the west side of the museum tract wide seating steps surmount the height difference of 1.8 metres and lead up to the new museum square. From this open area visitors reach the two new buildings – the entrance and administration complex and the exhibition building itself. From the entrance area one proceeds via the far-reaching, daylight lower ground floor to the exhibition rooms. This level also houses the large city model of Frankfurt, which is visible at all times from outside through a fount-formed opening in the new square tract. The restructuring of the city area also significantly dignifies Frankfurt’s oldest building, the Staufen Saalhof. The rearrangement of the buildings opens up for the first time an unrestricted view of this building to the east. Lederer, Ragnarsdóttir and Oei complement the buildings from the 12. to 19. centuries – Burnitzbau with Saalhofkapelle, Saalhof and Bernusbau – which were partially reconstructed after the War, by a two-part annexe with modern façade. The interplay between old and new gives rise to a yet lacking synergy effect: in contrast to today’s concrete cube the new construction underlines the diversity of the “historical” buildings, whose remaining elements house parts of the museum. The newly constructed Historical Museum is intended as far as possible to fit optimally into its metropolitan environs while fulfilling the functional needs of a modern museum - a requirement stipulated by the Competition Jury for the submitted plans. The design by Lederer, Ragnarsdóttir and Oei optimally meets these criteria. Although the museum building planned by Lederer Ragnarsdóttir and Oei occupies a total surface area of almost 8000 square metres, its manifestation withdraws modestly to the background. Its complete length is never apparent in the cityscape. Only its gable ends are visible from street or square. The museum is build with typical local sandstone of broken, roughly cut masonry. The choice of this craftsmanship process sets forth the historical technique into architecture of the present day. The outer walls of the exhibition building are divided by wall niches, which are aligned according to the rhythm of the window arrangement of the Alte Nikolaikirche, thereby enabling the new building to harmonize with its environment. The niches provide sheltered display points for figures and archived building elements from the repository of the Historical Museum. In this manner exhibits go out to become part of the city outdoors. Thanks to the building’s two-storey windows, which offer fascinating views of Römer, the Rententurm and the Alte Nikolaikirche, the outside is also ever present as interchange in the rooms of the permanent exhibition. Perspectives of history merge with impressions of the present into a new picture and once again the overall concept of the architects Lederer Ragnarsdóttir and Oei is clearly shown: the principle of continuity.